Unified heavyweight champion Anthony Joshua 22-0 (21) believes the heavyweight division is in the best shape it’s been in for years. And if he has his way, Joshua says he would like to fight WBC counterpart Deontay Wilder next followed by new arrival Oleksandr Usyk. 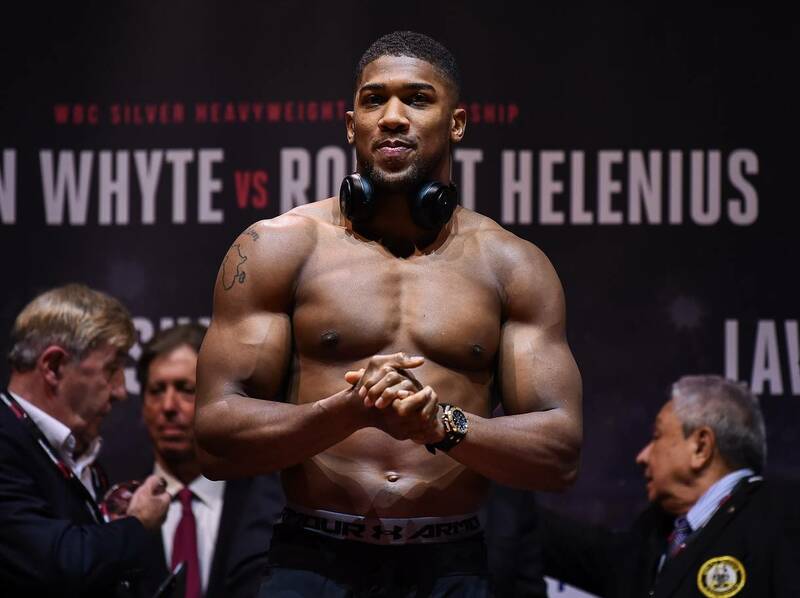 The 29-year-old Brit made the comments ahead of a bumper few months for the sport’s marquee division with Wilder defending his world championship against the dangerous Dominic Breazeale on May 18 and former cruiserweight kingpin Usyk making his heavyweight debut against Carlos Takam on May 25. The undefeated WBA, IBF and WBO champion will take centre stage the following week when he defends his three world titles against undefeated American Jarrell ‘Big Baby’ Miller at New York’s Madison Square Garden on June 1. “It’s really good because we’ve got me and Miller, Wilder vs Breazeale, (Tyson) Fury vs (Tom) Schwarz, Dillian Whyte is going to do something, Usyk versus Takam,” Joshua told Sky Sports. “The heavyweight division is alive. It is booming. I think it will be class if I can fight Wilder for the undisputed title and then I could fight Usyk because then that would be the undisputed heavyweight champion versus the undisputed cruiserweight champion at heavyweight. That would be unbelievable. “I’ve done the [Joseph] Parker fight, I fought for that [WBO] title. I’ve fought (Alexander) Povetkin, now I’ve got to do Miller and I just need to get past this one. Joshua, who defeated Breazeale at London’s O2 Arena in 2016, said the 33-year-old Californian could be trouble for the WBC champion. “I think Breazeale could cause Wilder some problems. It will be interesting to see him if Wilder can match him in boxing skill,” Joshua said.